Yoko Ono’s short, no.4, more commonly known as Bottoms, stemmed from an interest in examining the seriousness of experimental cinema, as well as its potential for humour. Ono also looked to experiment with form and rhythm, hence the close-ups of male and female buttocks. Her script read, “a string of bottoms together in place of signatures for petition for peace.” Two versions with similar aesthetics (created in 1966) were made, one featuring her artistic circle in New York and the next featuring members of the London scene. While watching the feature length version of Bottoms, questions arose for Eyeblink’s curators on the legacy and nostalgia for artworks produced during the anti-war climate of the 60’s and 70’s. In contrast with today’s art practices, who is perceived as a subversive artist? What is at stake when making political art? Whose political artwork is deemed more efficient and/or valuable and why? What is the point of solidarity and allyship when it remains within the confines of the exhibit- who benefits? What does sustainable solidarity look like? 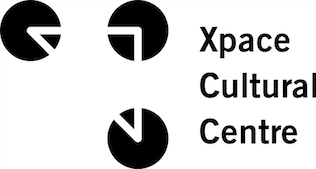 Xpace Cultural Centre is an artist-run centre dedicated to providing emerging and student artists and designers with the opportunity to showcase their work in a professional setting. Xpace is supported by the OCAD Student Union, and is committed to maintaining an anti-oppressive, queer positive environment, welcoming marginalized, racialized and indigenous folks. The Gardiner Museum is an inviting destination that inspires and connects people, art and ideas through clay, one of the world’s oldest art forms. Year‐round the Museum mounts special exhibitions, events, lectures and clay classes to complement its permanent collection.